The new benefits may not be much like short-term care insurance, let alone LTCI. Medicare Advantage program managers abruptly encouraged insurers to jam a few non-medical “supplemental benefits” into their benefits packages for 2019. 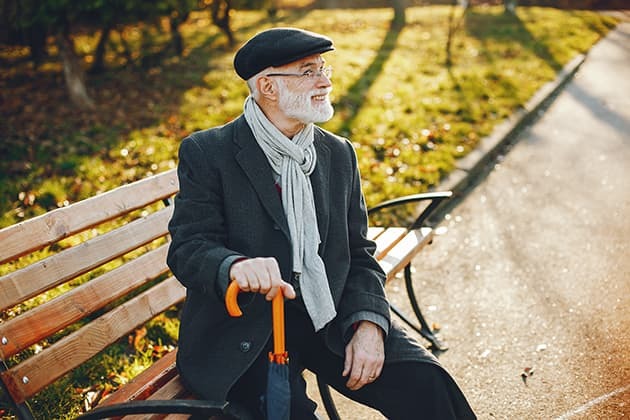 Some insurers added the kinds of benefits that might be covered by a short-term care insurance or long-term care insurance (LTCI) policy, such as adult day care services, homemaker services, and support for caregivers. Officials at the Centers for Medicare and Medicare Services (CMS) recently put more fleshed-out rules for “chronic care” benefits in a draft version of a bidding document for the 2020 Medicare Advantage program. Insurance company executives now have time to decide, in an orderly way, if they want to build chronic care benefits into their 2020 Medicare Advantage plan benefits menus. In theory, the chronic care benefits provision could be the start of Medicare creeping into the long-term care benefits business, or a dead end, or the beginning of an era in which Medicare simply provides want amounts to small promotional samples of LTCI-type samples. Medicare sample-size LTC benefits could help sell consumers on the idea of buying full-size short-care insurance or LTCI policies. The recent Intercompany Long Term Care Insurance Conference presented a session on the topic. The speakers included Howard Gleckman of the Urban Institute, Jay Greenberg of NCO Services, and Anne Tumlinson, a consultant who previously served as a senior vice president at Avalere Health. Here’s a look at five speaker insights about the new Medicare Advantage chronic care benefits, drawn from the speakers’ slidedeck. The 2020 chronic care benefits seem to replace the 2019 supplemental benefits, not supplement them. The benefits offered in new short-term care insurance and LTCI policies tend to hold fairly steady from year to year. Consumers who buy LTCI policies can lock in benefits for many years. The new Medicare Advantage chronic care benefits “can vary from year to year,” according to the Medicare Advantage LTC session speakers. The number of insurers offering chronic care benefits seems likely to grow. In part because the opportunity appeared with such little advance notice, only a limited number of issuers submitted bids in 2019, according to the Medicare Advantage LTC speakers. Issuers saw the 2019 supplemental benefits opportunity as a kind of pilot program. “More will participate in 2020,” according to the session speakers.. Issuers see value in the idea of investing a little money in non-medical support services, such as a little help with transportation, laundry or caregiver respite care, to hold down preventable use of expensive acute medical services, according to the session speakers. Issuers do worry about the risk that sicker patients will choose the plans that offer the new chronic care benefits. Many issuers would like to see a better risk-adjustment system in place before they add the new chronic care benefits, according to the session speakers. One challenge is that issuers still need to hold rates down, and another is that issuers will feel pressure to sweeten important benefits with broader appeal, such as dental benefits, according to the session speakers. The budget constraints could put tight limits on chronic care benefits value. This year, for example, the companies that have added adult day care benefits cover just a few days of adult day care. The coverage is much skimpier than the coverage available in typical convalescent care policies, or other short-term care insurance policies. Marketing the benefits will be complicated. Issuers are supposed to target the new benefits at enrollees at high risk of needing expensive, preventable medical care. That means that only certain enrollees will end up qualifying to use the benefits, which means that highlighting the benefits in marketing materials could mislead the many consumers who might have a need for the types of services covered but will not actually qualify to use their Medicare Advantage coverage to pay for the services, according to the session speakers. More information about the Medicare Advantage chronic care benefits session, including a link to the presentation slidedeck, is available here.